The five pillars of Islam form the foundation of a Muslim’s beliefs. 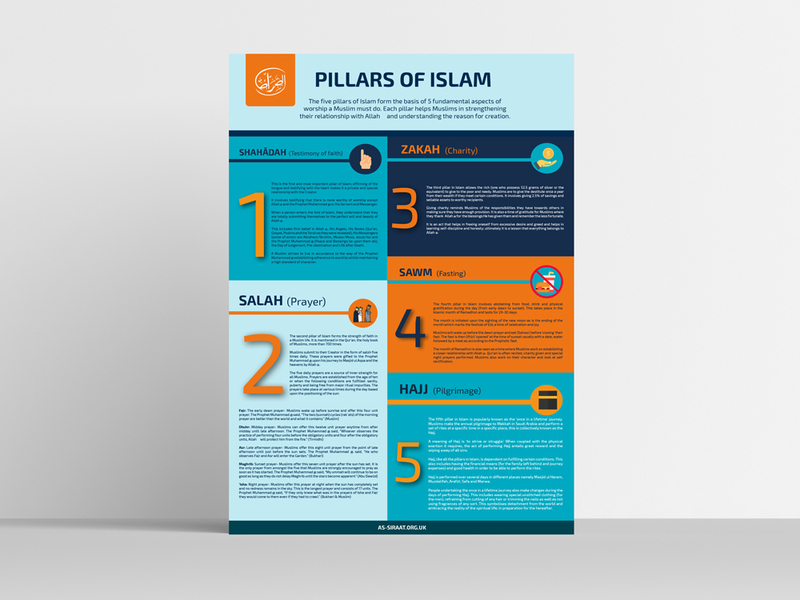 This A2 poster entails the five pillars of Islam, what they mean for Muslims and virtues of each aspect namely the Shahadah, Salah, Zakah, Sawm and Hajj. Text is clearly laid out with Qur’anic references and hadith given to enhance the reader’s knowledge.